The British Queen re-opened a few moths’ ago, so had been on my list for a little while. It is situated in a small area called Locksbottom (part of Farnborough) in the borough of Bromley, almost directly opposite another reviewed venue, Chapter One. I booked for the three of us (Claire, Our toddler JW and me) for one Sunday. Parking was a bit difficult as there wasn’t an area specifically for The British Queen, I managed to park a few metres down the road, but if you do come stuck, Sainsburys (Pay and Display) car park is just behind the venue. We were met at bar and shown to table in restaurant. As we walked through, I was immediately hit with the buzz and hubbub – it was very busy indeed. This wasn’t a venue to just take in the silence, instead a place to relax with everything going on around you. I liked it a lot, especially as we wouldn’t need to be too concerned about JW’s toddler noises. There was a lot of light coming through the large windows, and the kitchen was in the corner with a window to see the goings-on. The table laid out with linen napkins. Claire ordered a glass of red wine (£2.50 on Sundays! ), I asked for a pale ale. We also ordered some sparkling water. We skipped starters and went straight to the main order. I ordered the roast beef, and JW a child’s version of the same. Claire ordered the roast pork. 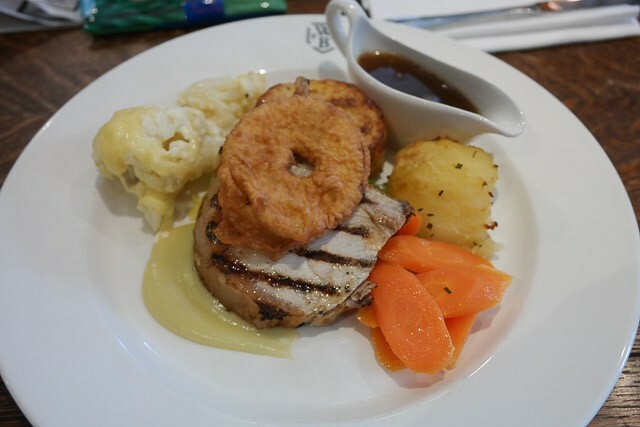 Lunch was served fairly quickly – I had two large slices of pink beef, a small cauliflower cheese, two large roast potatoes, cabbage, carrots and a Yorkshire pudding. We also each had a small jug of gravy. Tucking in, the food was good – the beef tasted nice, being cooked to my liking. The roast potatoes were perhaps slightly underdone, but were well seasoned and tasty. The Yorkshire pudding was a bit too doughy, I prefer less stodge. The carrots and cauliflower cheese were nice – being cooked Al dente. The gravy,whilst limited , was nice. Small note – we did need to send JW’s meal back and ask for the beef to be cooked for a bit longer. Our fault as we were asked, but it was just a bit too pink for him (you can see in the photos). 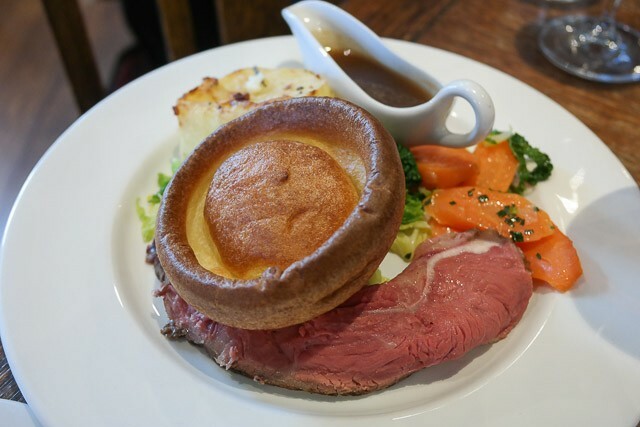 Overall then, a good Sunday lunch – now, what’s for pudding?! 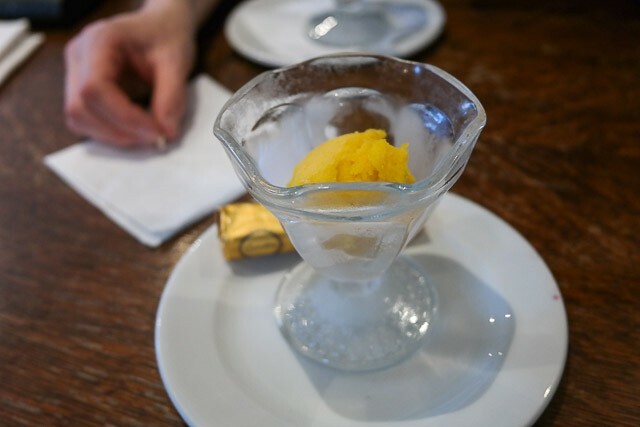 I ordered the chocolate delice, Claire asked for the blood orange posset and JW had the mango sorbet. 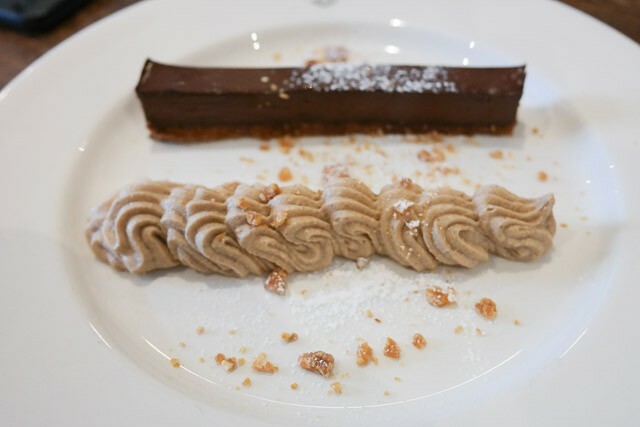 The delice was very rich – immensely rich and satisfying. The praline cream was interesting and I enjoyed the nougat crumble. 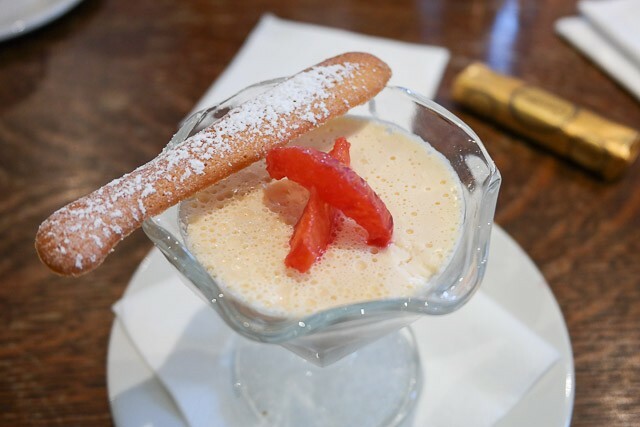 Claire liked the blood orange posset too. The high chair was in good repair and clean. We needed to use the baby changing facilities and again they were good quality. As the venue had a good amount of hubbub, we were not feeling on edge the whole time with JW. They provided a “fun” menu for the kids meals, but it was mostly things JW couldn’t eat (being off gluten and dairy). Ordering a child’s roast meant we paid over the cost of the set menu price (£5.95 for a kids meal including dessert, £6.90 for the roast + £1.50 for the sorbet). Overall though, a good venue to take children to lunch. 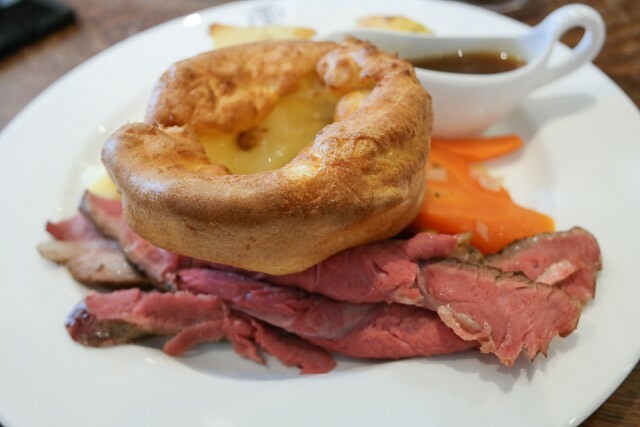 I enjoyed the Sunday lunch at The British Queen Brasserie – it had a very busy atmosphere I found strangely compelling AND relaxing. We were comfortable as a family, although I remarked to Claire that it would be nice to pop back one evening on our own. The service was good, someone was always around as and when we needed something. The food was good quality with ample serving sizes. I ALWAYS enjoy cauliflower cheese, and the beef was delicious. I’d have preferred the roast potatoes to have been cooked a bit more and the Yorkshire puddings was a bit too doughy for my liking. The desserts were really good though, especially the really rich chocolate delice. 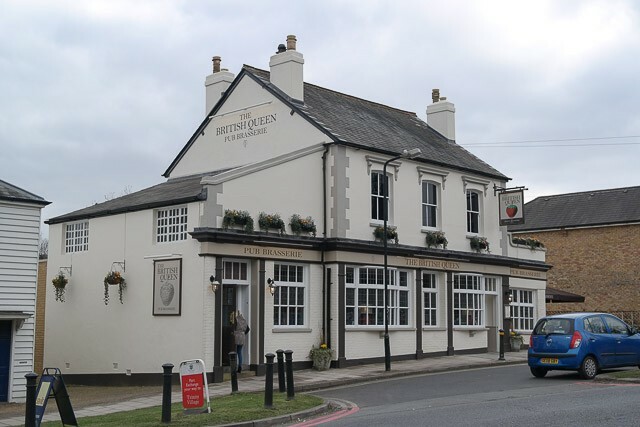 Overall then, a very good 4.5 out of 5 for the Sunday lunch at The British Queen in Lockbottom.